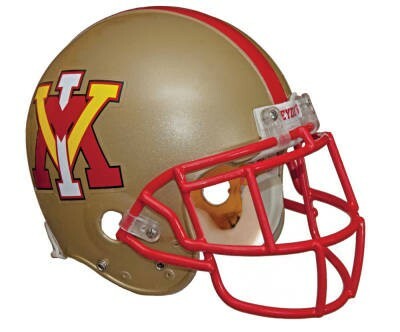 Augusta Free Press editor Chris Graham will handle the play-by-play duties for the VMI Keydets home football game with Wofford on Saturday. Kickoff is at 1:30 p.m.
Chris will be joined by former VMI assistant coach Rick Cruze in the radio booth. The game will be broadcast on WWZW-FM 96.7 FM (Lexington, Lynchburg), WNTW 820 AM (Richmond) and WRTZ 1410 AM (Roanoke). A free audio broadcast of the game is available at 3wzfm.com. The game is also being broadcast on ESPN3 with Wade Branner and Dave Harding calling the action.